25 May 2018 / 15:17 H.
KUALA LUMPUR: The police today confirmed that the total amount of cash seized from condominium units linked to embattled former premier Datuk Seri Najib Abdul Razak amounted to RM114 million. 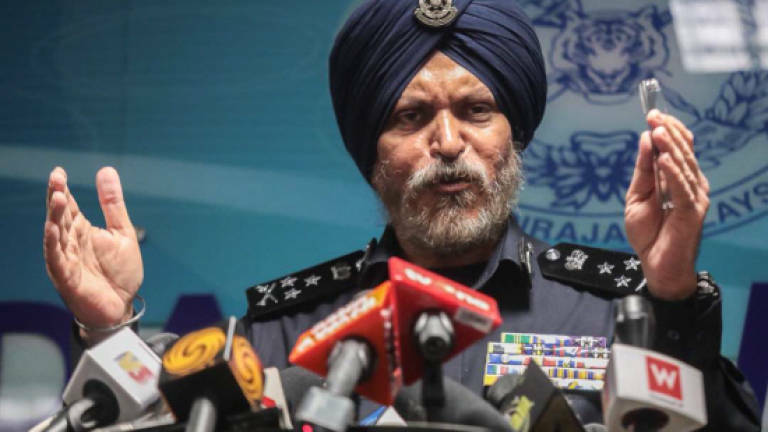 Federal Commercial Crime Investigation Department director Commissioner Datuk Seri Amar Singh said the cash of various currencies were in 35 of the 72 bags seized from a unit at the Pavilion Residence, while the remaining 37 contained jewellery and luxury watches. "We can confirm that through our counting of cash from May 21 to 23, with the assistance of 21 Bank Negara Malaysia officers and one from Bank Islam, that the total amount of cash from the 35 bags was RM114 million of 26 different currencies," he said today. "With regards to the other 37 baggages, which contained jewelleries and branded watches, we will be calling several experts to conduct authentication test on the seized items and estimate the values beginning next Monday." On several previous reports of the estimated amount of cash seized and viral postings on social media showing pictures of the purported confiscated items, Amar said they were false and inaccurate, and urged the public not to viral them. "I wish to reiterate that my officers on the ground are not allowed to carry handphones and pictures are only taken by our official photographer from Bukit Aman documenting the evidence. "Whatever photos that are going viral are all fake. I urge everyone not to viral them, as it will affect our investigation and whatever future prosecution, if there's any," he said. Last Friday, the police searched the unoccupied condominium linked to Najib and seized 72 bags and 284 boxes of designer bags, including many from the Hermes Birkin range, in their investigations into the 1MDB scandal. 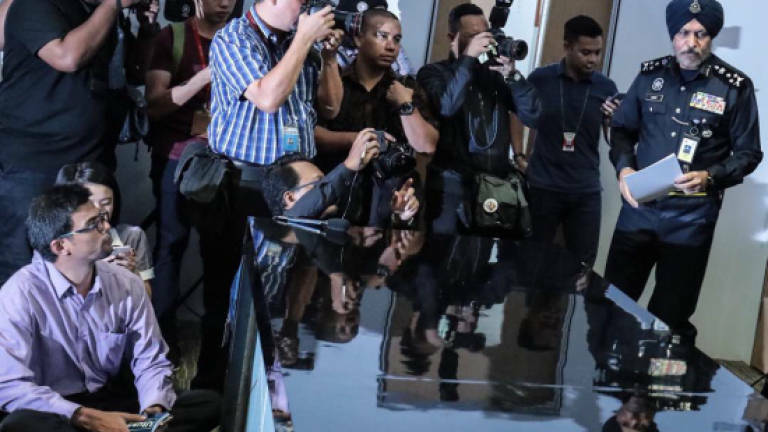 They also raided two other units at the same condominium which were occupied by Najib's son and daughter respectively, and seized several other items there, including 150 other handbags, the specifics and value of which have yet to be confirmed. When asked to confirm if the three units that were searched in Pavilion Residence are owned by Najib, Amar said: "This is part of the investigation. I don't think it's proper to say it here." On the 284 designer handbags seized, Amar said the police had contacted experts from Paris and that pictures of the bags would be forwarded to them to authenticate and determine the overall value. Amar also confirmed that through police search at Najib's private residence in Langgak Duta, they have found and seized about RM500,000 cash, an undetermined amount of cash in foreign currencies and several handbags and luxury watches. He also revealed that the police have conducted a total of 12 searches in relation to 1MDB including the three condominium units and Najib's Langgak Duta residence, but declined to confirm the others. On rumours that gold bars were among the items seized during the police search, Amar did not confirm nor dismiss the claims, saying instead it would have to be verified and authenticated by experts. “Let us conduct our investigation first. Once we have verified, only then can we say,” he said.